The entire point of creating a website for your company is to gain new leads and customers. Conversion rate optimization (CRO) is a fickle element, however. What makes users share their information or ask for more details about your products or services? Around 88 percent of businesses are not satisfied with their website conversion rates. Yet, they may not be taking full advantage of the different areas on the site where visitors could possibly convert into leads and customers, such as the contact page. Experts have repeatedly told web designers to reduce how many form fields appear on the page. One particular study analyzed 1500 landing pages and proved fewer fields means higher conversions. Even industrial B2B prospects hold their contact information close and only share it when they trust you. If you collect only the necessary info to get in touch, they are much more likely to share it. People are also busy and may not have time to complete numerous fields. 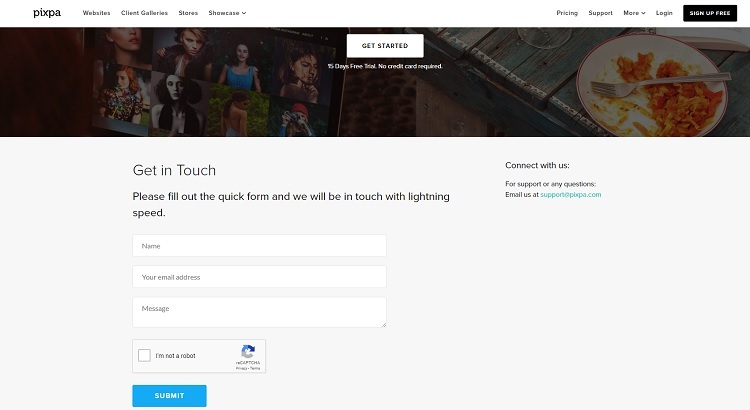 Pixpa keeps their contact form as short as possible, only asking for the user's name and email and offering space for a message. Pixpa also provides an email address in the right sidebar for visitors who prefer to email your company directly. 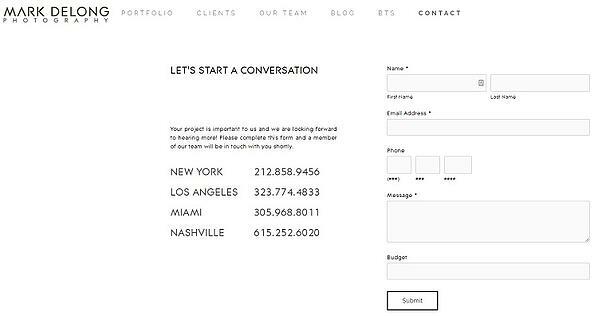 This second option allows users with more detailed requests to get in touch without using the contact form. Website owners often use CAPTCHA within their forms to prevent an influx of spam. A good idea, but that also reduces conversions. People dislike trying to decipher fuzzy letters or choose images of a bus when all the images are unclear. CAPTCHA also makes connecting with you impossible for those who have vision impairments or dyslexia. Not everyone wants to wait for a reply after a contact form submission. Some busy industrial buyers want an immediate answer or want to connect with a real person. 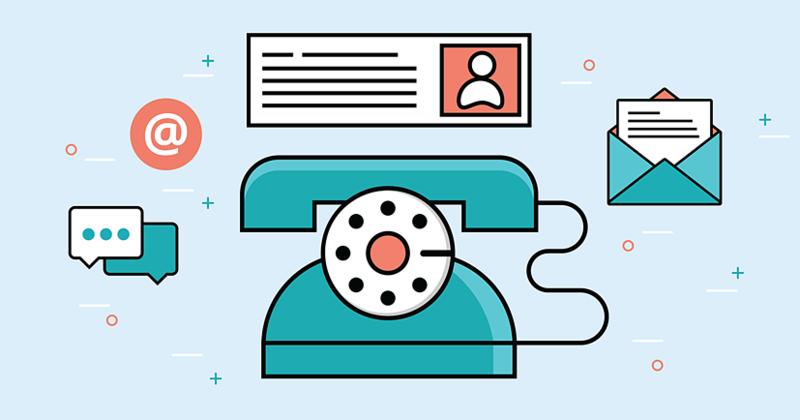 So, include multiple contact avenues: live chat, a contact form, email, and a telephone number. Keep in mind that your targets may include multiple buyer personas from different generations. A millennial visitor may prefer live chat while a Boomer prefers a telephone number. Mark DeLong Photography's contact page offers a few different ways to get in touch and even includes telephone numbers based on location. Also, links at the bottom of each page direct visitors to Mark DeLong Photography’s social media sites, which some people prefer. Because technology advances rapidly and the internet is ever-changing, experts advise updating your site frequently to keep up with best practices. 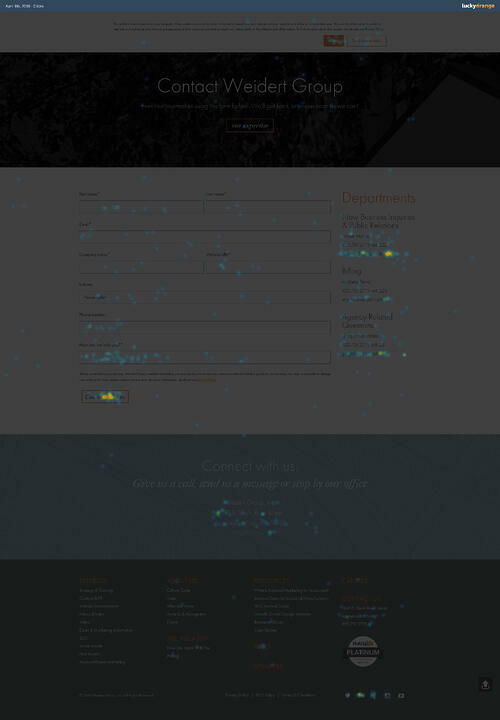 Heat maps show what areas of your contact page grab visitors’ attention. If you notice that some areas aren't performing as well as others, remove those elements and add something new. For example, if where you list the address for your headquarters gets little attention, push it further down the page and use that area for a toll-free telephone number. If people are trying to click an email address, make sure it includes a mailto: script. Test frequently and make changes as needed to continuously improve your conversion rates. Most businesses get asked the same questions over and over. Save your visitors and your company time and money by answering those questions upfront. Showing popular questions also refines your contact page so users can ask more detailed and specific issues that apply to their particular situation. Use FAQs or a list of top questions and list common information users most desire. 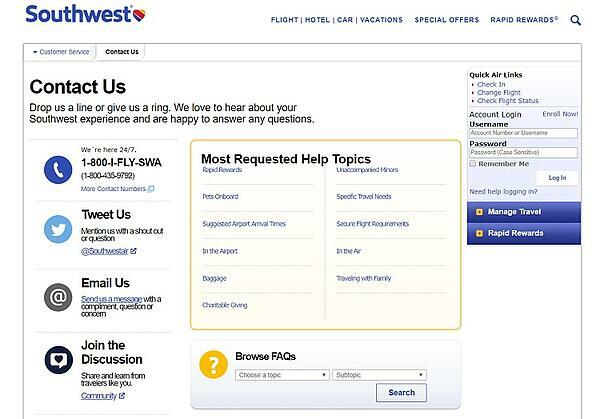 Southwest does something interesting on their contact page by offering a box that lists the most requested help topics, such as info on pets onboard, baggage, and suggested arrival times. They also offer a toll-free number, social media @mentions, email, and community chat. Pro tip: some marketing automation platforms, such as HubSpot, include tools for Service as well, such as Knowledge Bases for housing articles on frequently asked questions. Your most viewed articles are great candidates for linking to from your Contact page. While the word “submit” is clear and explains what action the user needs to take, consider mixing things up and utilizing a different word for your call to action (CTA) button. Using a word other than “submit” may increase conversions as much as three percent, and adding another word, such as “registration,” also increases conversions. Individual site visitors have different needs. Determine the main reasons your industrial customers contact your company and guide them to the correct department. You can also train customer service agents in each area, as well as respond to customers more quickly when their questions go to the correct department. Users also may be more inclined to submit a form when they have the assurance you know in general what their needs are. Funnel your visitors to the right place for answering their questions. Pro tip: if you’re using HubSpot Sales Pro or Service Hub, you can route live chats to the appropriate team members based on criteria such as account owner. First, make sure you have a submission confirmation page, so visitors know that the contact form sent successfully. Next, also utilize your thank you page for re-conversion purposes. Either show the visitor a special offer geared toward their interests or invite them to subscribe to your company’s blog. Even if they don't immediately convert into customers, once you've engaged them, they may be more inclined to become customers in the future. Small changes make a significant impact when it comes to your company’s website conversion rates. Look at your Contact page through the eyes of your target audiences — using real visitor data from heatmaps and website analytics — and figure out what would make them more inclined to complete a form or pick up the phone and call you. Revisit your page design at least every few months and study the internal analytics so your contact page improves over time.